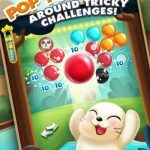 Fruit Pop 2 – Puzzles in Paradise is yet another one of those myriad Match 3 games available for iOS and Android, and it is, as developer Meta Moki says, the sequel to the original Fruit Pop. The company doesn’t really delve into the details of the game, but it promises a chance to “join the characters you’ve come to love” as you journey across 10 worlds and 100 levels. And while that may seem like a mere handful of levels compared to what you’d normally get, more levels are on the way, according to Meta Moki. 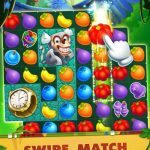 With all the different Match 3 games available on the App Store and Play Store, you may be wondering where the special twists are. 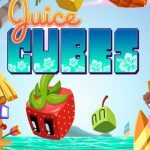 Actually, there aren’t too many to speak of, but if you’re new to the Fruit Pop series or to Match 3 gaming in general, you might want to check out this list of Fruit Pop 2 tips and hints for more three-star levels, and more success in the game in general. For the moment, Fruit Pop 2 doesn’t have any way to deal with the time lapse cheat, which, as you may have guessed, allows you to gain your lives back without having to wait. When you lose a level, you lose one life, and one life is equivalent to 30 minutes waiting time. You will normally have to spend gems in order to get those lives back without having to wait, but you can shift the time forward in increments of 30 minutes, depending on how many lives you want back. Just keep repeating this trick until Meta Moki nerfs the time lapse, and you can play as long as you like without having to wait a couple hours tops for your lives to be restored. As a general rule, go for those longer combinations. Don’t just go for combinations of three if the opportunity to match four or five is there; longer combos means more points, and more points means more stars. As you will need to have accumulated a certain number of stars in order to unlock the other worlds, you should always go for three stars, and if you don’t get it perfect the first time around, you can always replay those levels you completed with one or two stars. Another general rule of Match 3 gaming is to make your matches from the bottom, and that too applies in here. If you’re able to match some pieces near or at the bottom of the board, this could cause a ripple effect, meaning you can make more matches as new pieces fall from the top. You can earn free gems in the game by completing different tasks in the game, but if you want to get free gems right off the bat, you can simply connect your game to Facebook. That’s going to give you 40 gems right away. Lastly, you can watch advertisement videos by going to the main map and tapping on the film-like icon. Watching ad videos will earn you only one gem per video, but these can add up as long as Fruit Pop 2 has some videos to serve up for you. And this wraps up our list of tips and tricks for Fruit Pop 2. In case we discover more hints for the game, we will share them here.